My recent coverage of the ongoing death of Andrew Jackson brought up the interesting subject of Presidential crushes among several friends. Apparently lots of people have them. 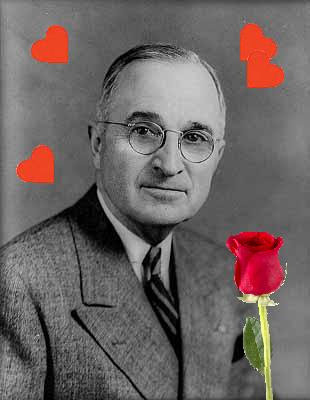 My presidential crush is Harry S. Truman, the 33rd President of the United States. 1. Those glasses drive me crazy. 2. He once ran a haberdashery, which means he was quite stylish. 3. He looked good in uniform. 4. He is from Missouri, which is the "Show Me State." That is next to Kansas, which is the "I'll Show You State." Kansas is where I'm originally from. Get it? 5. He has the best presidential name since Millard Fillmore. 6. Our love match horoscope said this: When Taurus and Leo come together in a love affair, they can be a great couple because they know how to stroke one another's egos and love to have their own stroked! They have similar needs: Taurus needs plenty of affection, to be loved and cherished, while Leo likes compliments and wants to be adored and admired. They're both extremely loyal and possessive lovers. Since they have such similar desires, they can generally provide for one another's needs quite well. 7. When I took the "Are you Ready for a serious relationship?" quiz on Seventeen.com, it said that I am "Fully Committed" to our relationship. 8. According to a rousing game of MASHO I played a while ago, we will live together in a mansion (Hello? White House?) and have four children. 9. He has his own library, and I love books. 10. 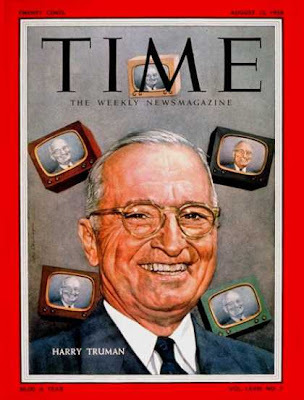 Here he is on the cover of Time Magazine. Is your boyfriend on the cover of Time Magazine? 11. He has a boat. Who is your presidential crush? You wake up. You get ready to go to work. It's nice outside, but there are some clouds in the distance. If you take your umbrella, scroll to section 1A. If you don't take your umbrella, scroll to section 1B. It starts to rain. Luckily, you have your umbrella. Oh, happy day! Later the sun comes out, and someone gives you a dozen roses and all the candy you could ever eat. And you get a ride home on the back of an obliging unicorn. It starts to rain. You are soaked, and everyone can see through your white pants that you are wearing Smurf underwear. You arrive at the office, and when you get into the elevator, a douchebag from the sales department points out your underwear problem and then asks if Azrael would like to meet Gargamel. If you break his legs with a tire iron, go to section 2A. If you break his legs with a croquet mallet, go to section 2B. If you immediately ask for his hand in marriage, go to section 2C. "Ow!" says the guy, as you break his legs with a tire iron. "My legs. I think you broke them. Please call 911 and get an ambulance." If you call an ambulance, go to section 3A. If you take a picture of him writhing in pain and post it on Facebook for everyone to ridicule, go to section 3B. "Ow!" says the guy, as you break his legs with a croquet mallet. "Not only are my legs broken, but I am also reminded of many happy summers of playing croquet with my dead grandfather, and it is making my heart break in a very painful manner." If you stop to wonder how his dead grandfather managed to play croquet, go to section 4A. If you realize you're late, step over the guy you just assaulted, and head to your desk, go to section 4B. "Will you marry me?" you ask the man. "YES!" he cries in ecstasy. "How did you know that I've loved you all along?" Everyone in the world throws up. If you decide to buy him a plain gold band for your engagement, go to section 5A. If you decide to buy him a 5-carat diamond ring for your engagement, go to section 5B. The ambulance arrives and carts Smurfy McJerkington off to the hospital. You head to your desk for a fun-filled day of filing and paperwork. Later, you are arrested for assault and imprisoned, but you are eventually paroled for good behavior and leave prison with a more positive attitude toward life. 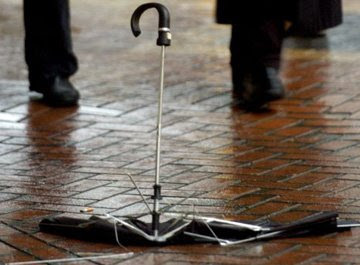 And you never leave home without your umbrella again. Facebook hilarity ensues, and you start a blog where you beat assholes with tire irons, take pictures, and then post their photos accompanied by witty captions. Fewer women are sexually harassed in the workplace, and you start to think you're totally awesome. Unfortunately, someone else starts a blog about mowing down pedestrians at random, and you are his third official post. He used his dead grandfather as a croquet mallet. You arrive at your desk to find the cops waiting for you. Because not only did you just assault a guy with a croquet mallet, you are wanted for theft of several reams of copy paper and ball point pens. "You'll never take me alive, coppers!" you cry and leap from an open tenth story window and parachute to freedom. If you escape to Mexico, go to section 6A. If you escape to Canada, go to section 6B. "Mwahahahahahaha!" says your new husband, as he claims Sauron's ring for his own and becomes ruler of all of Middle-Earth. "Only five carats?" cries your fiance in outrage and throws himself down onto the sofa to sulk. Later, you cook dinner, and he cries because you put onions in it. What a jerk. "AAAAAAAAAAAAAAAAAAAAAAAAAAA!" you scream as your car plunges into the Rio Grande. That was actually your map to Canada turned upside down. You arrive in Canada and are welcomed by the very understanding Canadian people. In the future, be more respectful of the laws. And don't leave your umbrella at home. Lyncoya Jackson, the adopted son of late president Andrew Jackson, would speak out about his father, but he died in 1828. 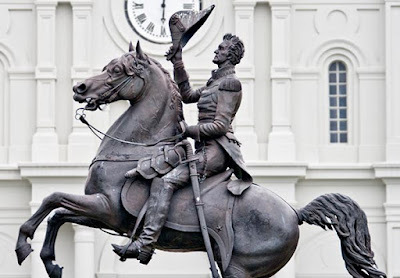 In a touching statement, he might have said something about being discovered on a battlefield beside his dead mother and being sent to Jackson's home to live, possibly as a companion for Andrew Jackson, Jr. 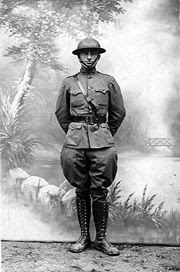 He might have also expressed gratitude toward the late president for giving him a home after his family was brutally murdered by Jackson's troops. Unfortunately, he cannot give a tearful statement to the press because he died at the age of 16 from tuberculosis, almost 181 years ago. 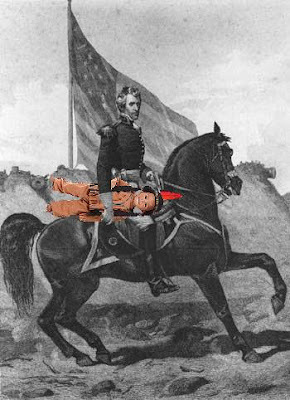 Jackson's other adopted son, Andrew Jackson, Jr. could also not be reached for comment, as he died in 1865, as the result of a hunting accident. 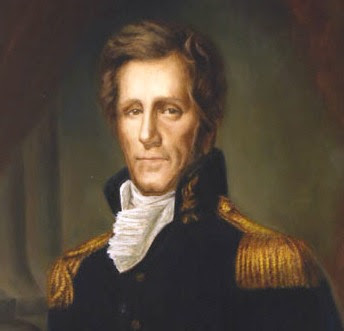 Had Lyncoya Jackson been able to talk to the press about the continued dead state of Andrew Jackson, he might have shed some light on the strange, outwardly surly man that people who lived between 1829 and 1837 called "Mr. President." But since he had to go and die, we can only speculate. It has been 24 hours since we began reporting on the ongoing death of 7th president Andrew Jackson. 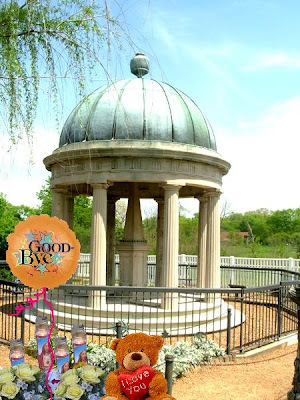 As we continue to say goodbye to the man who was known as "Old Hickory," fans and critics alike all agree that this topic is getting tiresome. "My god, he's been dead for 164 years," said the reporter who is currently writing this. "And his actions led to the deaths of at least 15 Native Americans. Therefore, I don't know we are covering him still being dead so heavily." "I think he was awesome," said current president Barack Obama, whose words have been taken out of context. "I agree," said the Battle of New Orleans. "What am I, chopped liver?" asked more recently-deceased president Gerald Ford. "No, I am," said foie gras. "No, you're not," said Wikipedia. "You're lying," said Encyclopedia Britannica. "How did you know?" said Richard Nixon. "Where am I?" asked Ronald Reagan. "I'll find you," said Jimmy Hoffa. "Hey, where's Waldo?" asked a bestselling book in 1987. "I'm over here," said Ralph Waldo Emerson. "Well, I feel enlightened," said Transcendentalism. 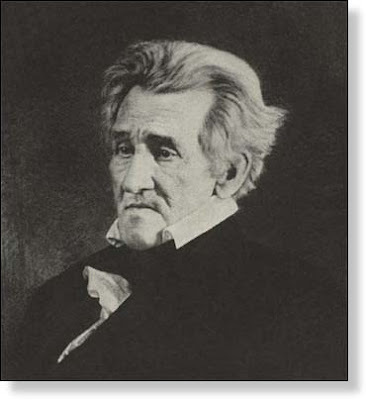 Representatives of Andrew Jackson have thus far remained mum on the continued deceased state of the former president. A memorial service was planned 164 years ago, and Jackson's body was laid to rest where it remains to this day, next to his wife Rachel at their home near Nashville. 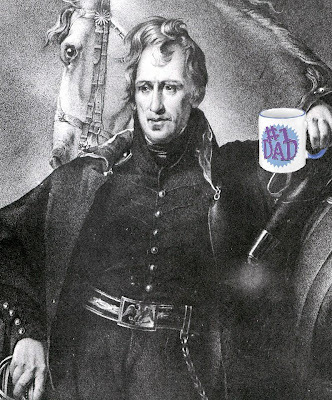 With the continued death of Andrew Jackson, experts are attempting to further piece together what may have caused the still-deadness of the late president. While some allege that Jackson is still dead because it has been 242 years since his birth, others wonder if his violent past played a role in his current state. A veteran of several wars and the survivor of multiple duels and the first assassination attempt of a president, Jackson lived for many years with a musket ball lodged in his lung, causing a chronic cough. And while it was established at the time of his death, at 78, that Jackson died of tuberculosis and heart failure, his current appearance has raised the eyebrows of some. Always a lean figure during his life, standing at around 6'1" and weighing between 130-140 pounds (according to Wikipedia), in the last hundred years, Jackson's weight has dropped to a mere 18-20% of his total body weight. Some experts agree that a bacterial invasion of his lifeless corpse may have contributed to the decomposition of his flesh and internal organs. Jackson's supporters and fans are demanding to know what is causing him to remain a lifeless skeleton. "It's all very fishy," said a man with a sock puppet. 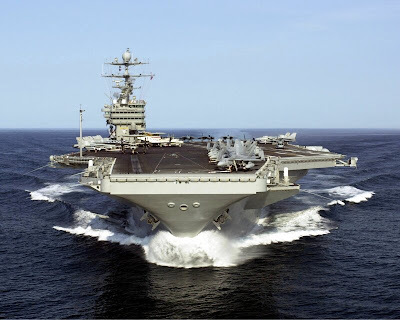 Calls to John Quincy Adams were not immediately returned. Fans of late 7th President of the United States, Andrew Jackson, who remained dead Friday after 164 years of being so, are gathering to pay tribute to the late president. Crowds began to form at the gates of The Hermitage, Jackson's home, as early as fifteen minutes ago as the news of Jackson's still-deadness spread. "He was a great old president," said one fan, whose surly expression, wild gray coiffure, and refusal to clean a British officer's boots were in clear tribute of the late Tennessean. "I'll continue missing him," said another fan, who was clearly succeeded by Martin Van Buren in an attempt to emulate her hero. Jackson, who fought in the Battle of Emuckfaw, which sounds dirty, was discovered to still be dead at his home on Friday at the age of 242. He will continue to be buried in his current location. 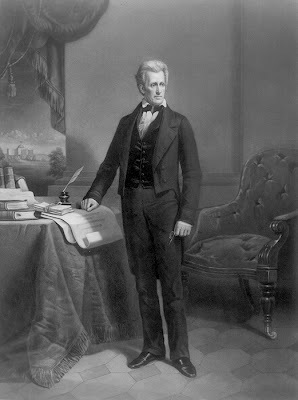 Andrew Jackson, the seventh president of the United States, hero of the War of 1812, and the first man to be made from hickory, remained dead Friday from complications of tuberculosis, heart failure, and decomposition. Jackson was discovered not breathing at his home, The Hermitage, on Friday morning by some museum visitors. He was left in his coffin. No autopsy was required, as Andrew Jackson has been dead for 164 years and no one of importance finds that to be suspicious. 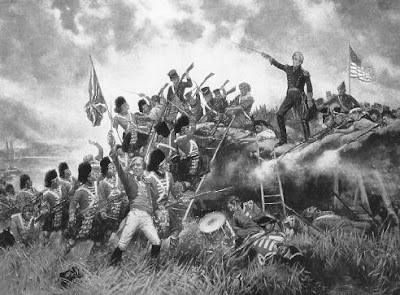 Appointed commander of the Tennessee militia in 1801, Andrew Jackson quickly rose to stardom in the War of 1812, later serving again in the First Seminole War, if Wikipedia can be believed. 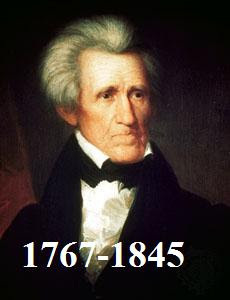 He was elected President of the United States in 1828 and won re-election in 1832. Jackson's life was peppered with controversy, from his calls to abolish the Electoral College, to the fact he owned slaves, and really, really didn't like Indians. He was survived by no one, as everyone alive during his time is now dead. Reverend Al Sharpton had no comment on the still-deadness of Jackson.